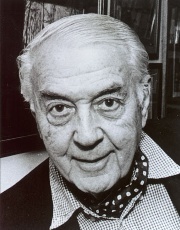 Geoffrey Watson (1921-1998) was co-supervisor of W.K. Hastings' 1962 Ph.D. dissertation at the University of Toronto. What follows is a news release from Princeton University, on the occasion of Dr. Watson's death. PRINCETON, N.J. -- Geoffrey Stuart Watson, a prominent statistician and chair of the statistics department, emeritus, at Princeton University, died on January 3 following complications from heart surgery. He was 76 and a resident of Princeton. Professor Watson was a specialist in the application of mathematics and statistics to the natural sciences, particularly geophysics, molecular genetics, and animal behavior. In the course of his career he applied statistical methods -- which he once called the science of "clever ways to count"-- to topics as varied as continental drift, ozone depletion, and the wearing of motorcycle helmets. He wrote or co-authored five books, the most recent of which, Statistics on Spheres (1983), summarized his work on paleomagnetism. Born in the gold-mining town of Bendigo, Victoria, Australia, on December 3, 1921, Professor Watson took a degree in mathematics from Melbourne University in 1942. After teaching mathematics for 5 years at Melbourne, he traveled to the United States and took a Ph.D. from North Carolina State University in 1951. (He also was awarded a D.Sc. from the University of Melbourne in 1967.) He returned to Australia, to a senior lectureship in the Department of Statistics at the University of Melbourne, where he stayed until moving to a senior lectureship at the Australian National University in 1954. Three years later he left for England and North America, taking positions at the University of Toronto and the Johns Hopkins University before assuming the chair of Princeton's Department of Statistics in 1970. He transferred to emeritus status in 1992. Professor Watson is perhaps best known for his work on econometrics published in collaboration with James Durbin of the London School of Economics. Although almost 50 years have passed since the Durbin-Watson test for serial correlation was first proposed, it remains the standard approach and is still incorporated in standard statistical packages. While at Princeton, Professor Watson became involved with public policy issues, such as estimating the U.S. oil and gas reserves, assessing the effects of air pollution on public health and on the ozone layer, and climate trends. During these years Professor Watson served on many advisory committees of the Environmental Protection Agency. Professor Watson's work in probability and statistics was interdisciplinary; he once wrote that the subject "led me into all sorts of interesting corners of science and the world." As part of one project, which served as the basis for many public lectures, he traveled to Antarctica with biologists to develop a method for estimating the size of the penguin population. His two papers analyzing the consequences of the repeal of the motorcycle helmet law, written while he was a consultant to the Highway Safety Institute in the early '80s, provoked newspaper editorials and threatening phone calls from bikers. His EPA work evidently caused his name to appear on a Reagan "hit list," which described him as a "smooth but extreme environmentalist." Watson remained active after transferring to emeritus status; among his occupations during this period was an adjunct professorship of biology at Duke University, held between 1993 and 1996. An accomplished landscape painter, Watson had mounted several one-man shows in Princeton galleries since his retirement. At the time of his death he was planning a trip to Canberra to receive an honorary degree from the Australian National University. Professor Watson is survived by his wife of 45 years, Shirley Elwyn Jennings; four children, Michael Geoffrey of Yokohama, Japan, Catharine Helena of Kampala, Uganda, Rebecca Sarah Caine and Madeleine Claire, both of London, England; and two grandchildren, Isabel Grace Pike and Andrew Geoffrey Watson Pike, both of Kampala. Funeral services were private. Memorial contributions may be made to the Adirondack Conservancy and Land Trust or the Bendigo Historical Society in Australia.